Bethenny Frankel has done it again. 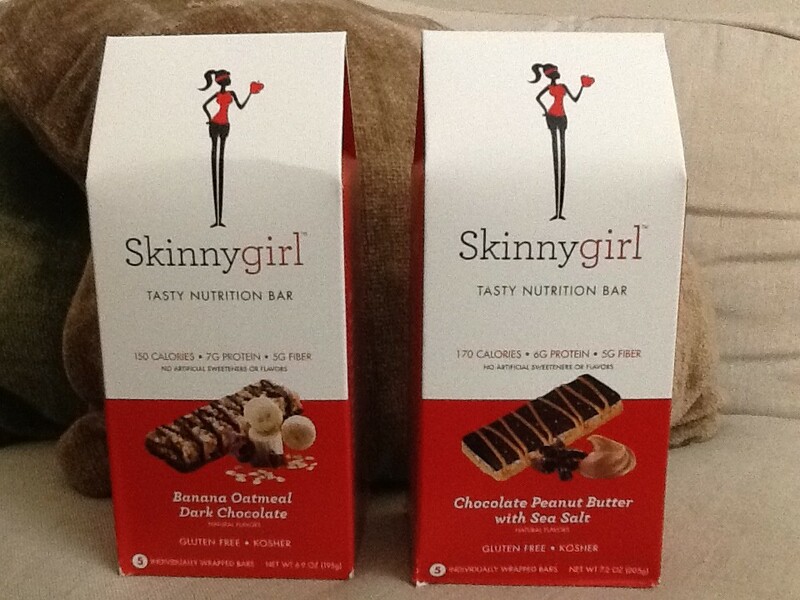 She has made a new SkinnyGirl product that is worthy of notice! I found two types of protein bars of hers in Target. I bought both boxes. $6 got 5 bars per box. A fair price for protein bars. 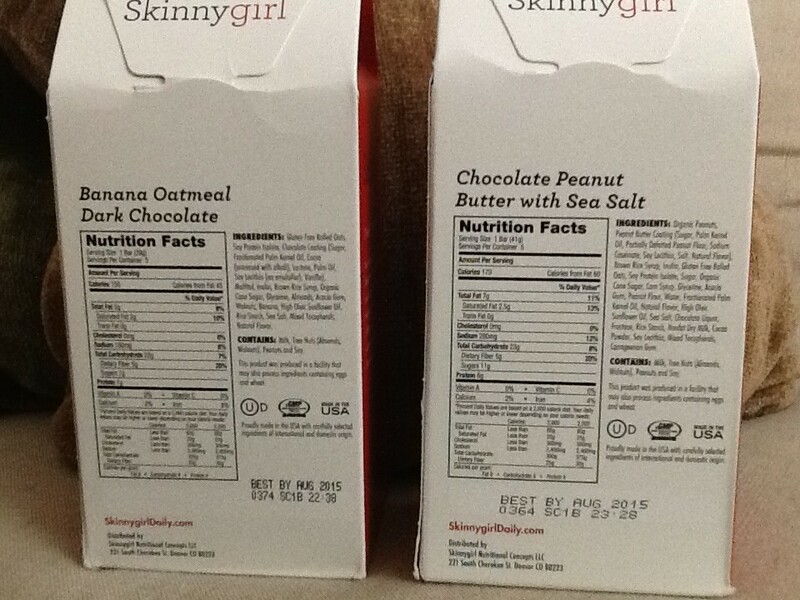 Both types are 23g of carbs and about 5g of fiber (net carbs is 18g) and has about 5 or 6g of protein. I have not had the Banana Oatmeal Chocolate bar yet, but today, I sampled the Peanut butter, chocolate and salt bar and it had a bit more sugar in it, but OMG. It was SO good! And I just had the banana one. So good too. These are keepers. Even my husband likes them! The salt really plays tricks with your tongue and makes it so YUMMY! 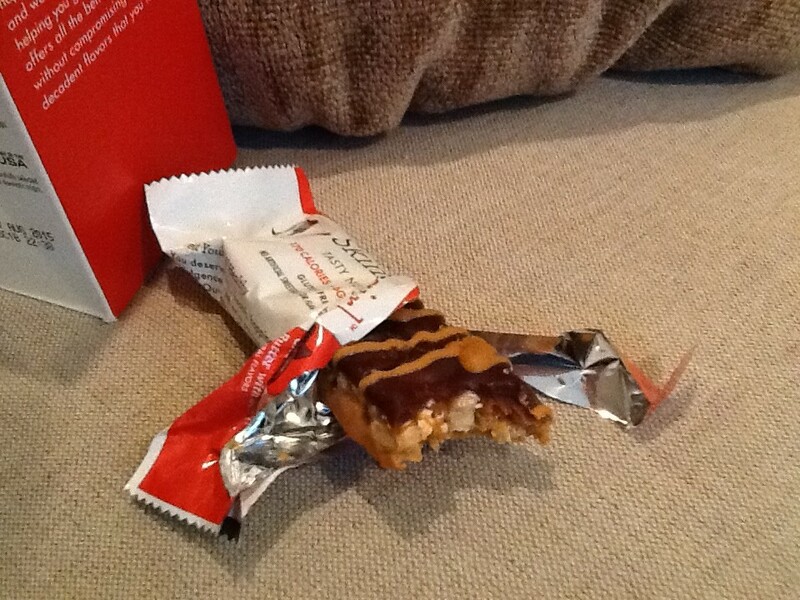 It was more like a desert, than a protein bar. It is also Kosher and gluten free! I hope Target keeps carrying it! Beautiful design, nice packaging, tastes great and is priced right.